Look what I have created! 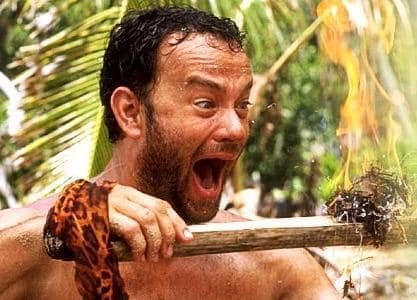 Chuck Noland (Tom Hanks) learns to survive on a desert island in "Cast Away," and one of his primary goals in the early going was to make fire. So as to cook food and stuff. The expression tells it all.